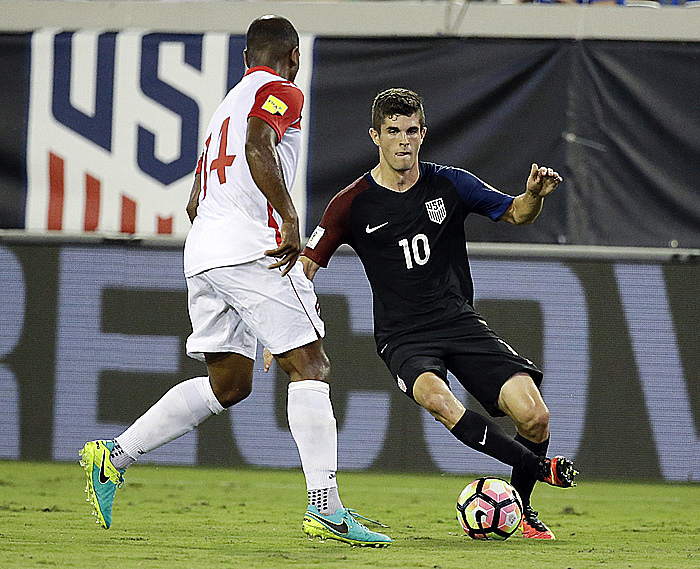 JACKSONVILLE, Fla. (AP) — Christian Pulisic has become the youngest player to start a World Cup qualifier for the United States. Pulisic, whose previous seven appearances were as a substitute, was in the lineup on the left side of a 4-4-2 formation against Trinidad and Tobago on Tuesday night. At 17 years, 353 days, he bettered Landon Donovan's mark of 18 years, 184 days, against Honduras in 2001. With right back DeAndre Yedlin suspended for yellow-card accumulation and central defender Matt Besler returning home following the birth of his daughter, coach Jurgen Klinsmann made six changes from Friday's 6-0 win at St. Vincent and the Grenadines. Tim Howard starts in goal, making his 32nd World Cup qualifying appearance and moving past Kasey Keller for the most among American goalkeepers. Steve Birnbaum and Omar Gonzalez are paired in central defense for the first time, and Fabian Johnson moves from midfield to left back. Captain Michael Bradley, who was suspended for Friday's game, returns to the lineup and partners with Sacha Kljestan in the middle of the midfield, with Alejandro Bedoya on the right. Jozy Altidore and Bobby Wood remained up front. The U.S. is unbeaten in 31 home qualifiers (29-0-2) since 2001. The Americans would advance to the six-nation regional finals with a win, a tie or even a loss if it maintains its goal-difference advantage over third-place Guatemala, which was plus-12 at the start of the night.